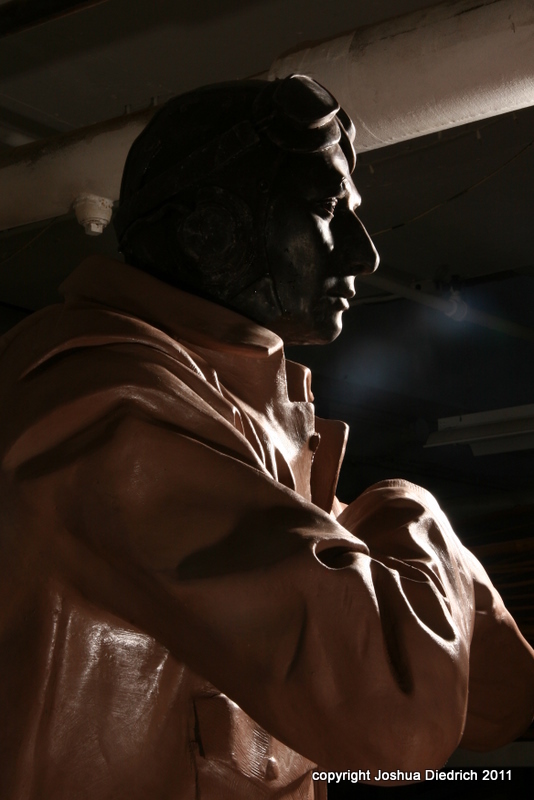 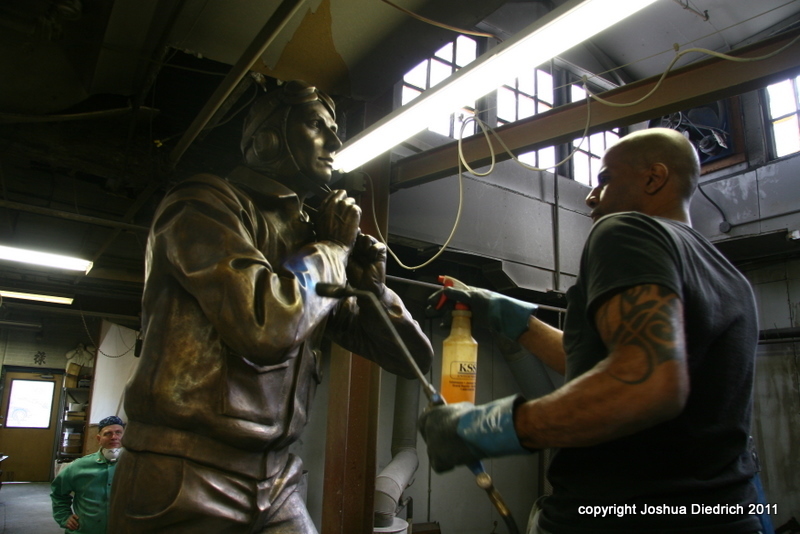 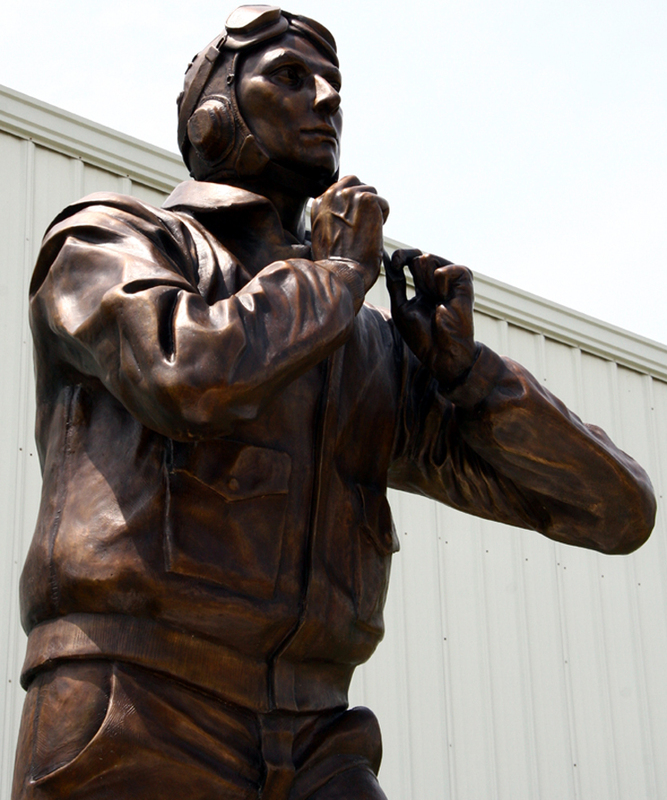 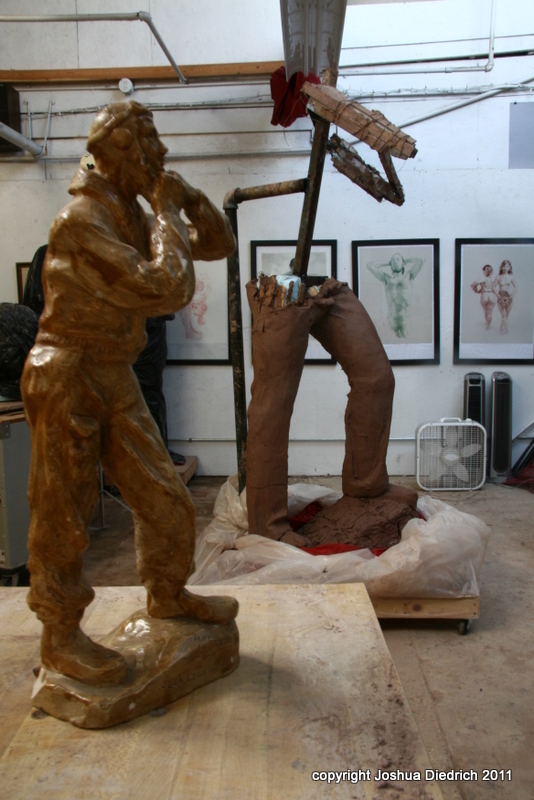 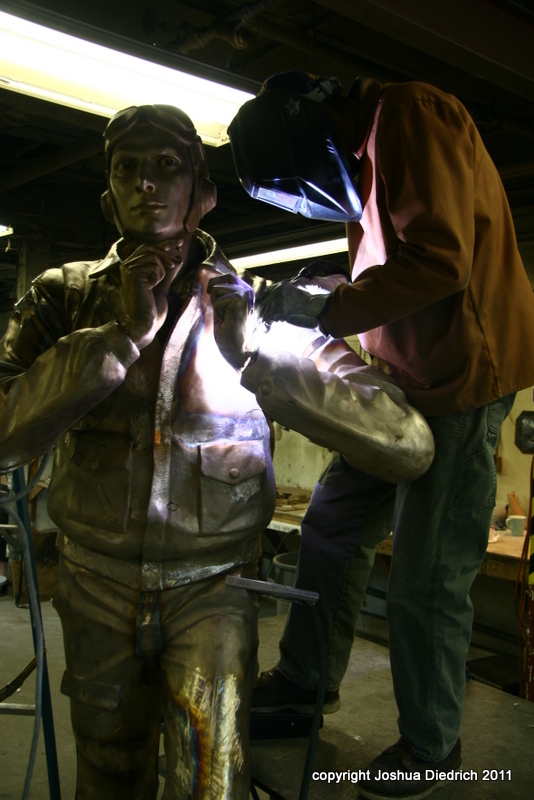 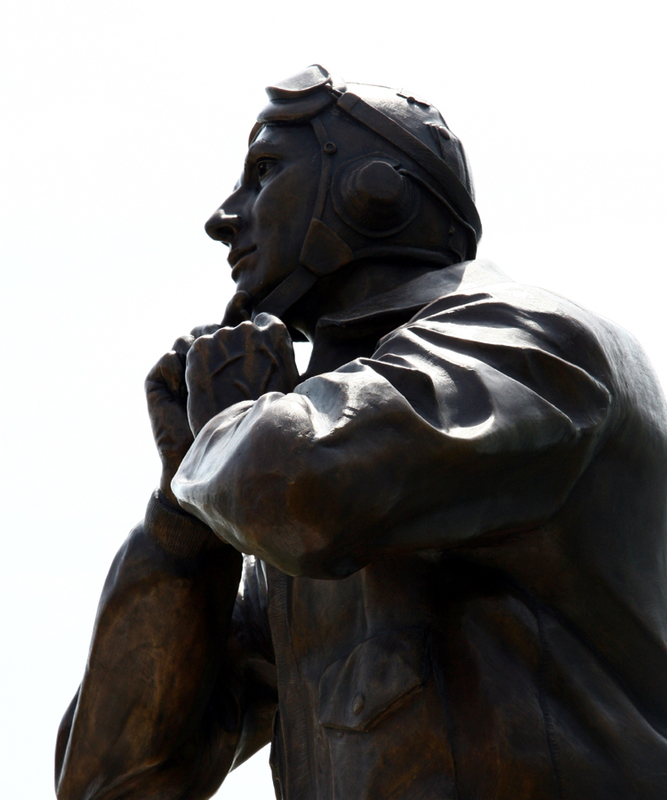 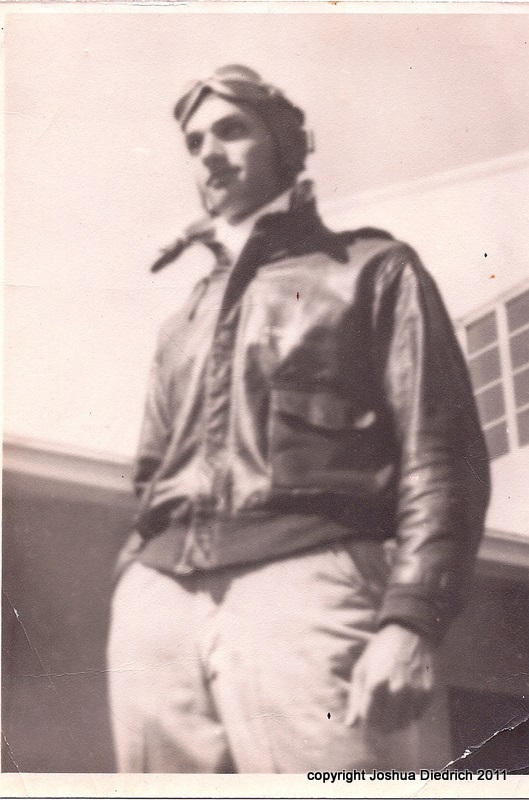 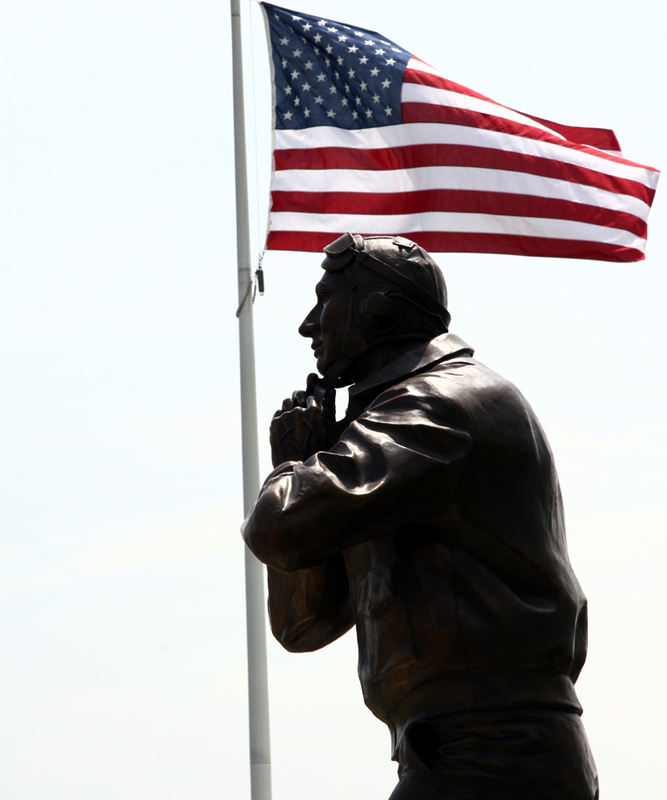 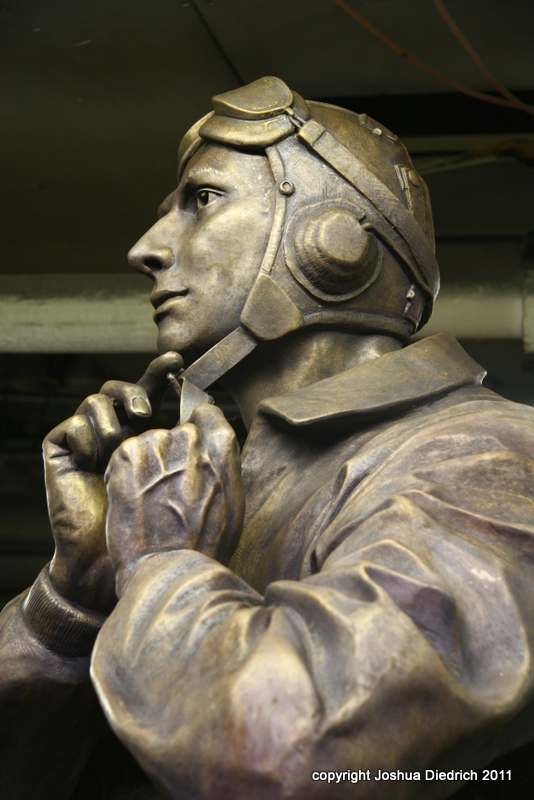 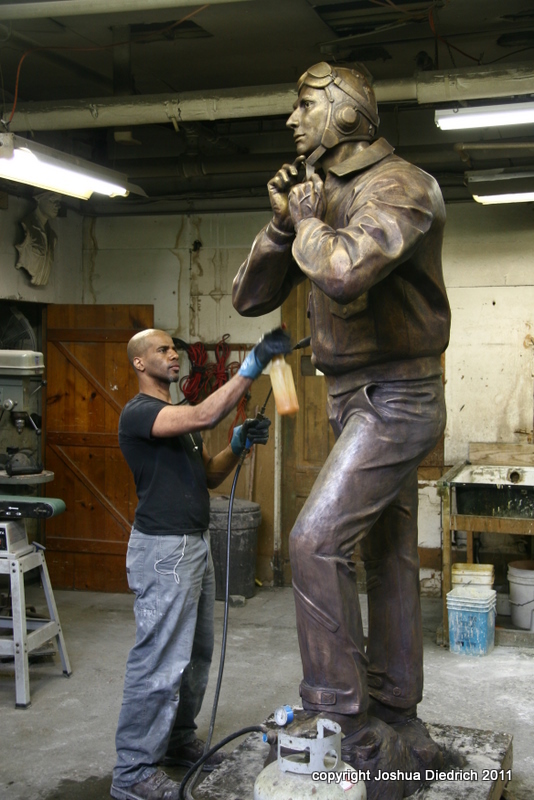 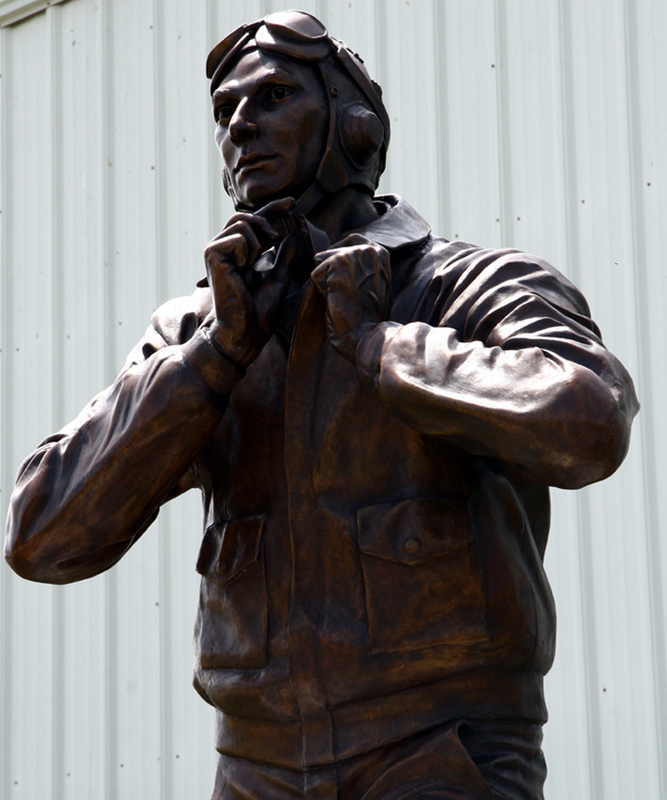 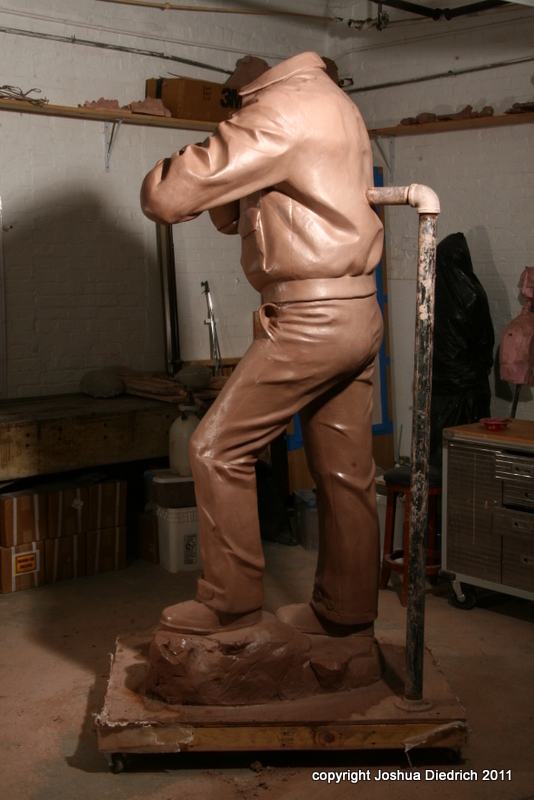 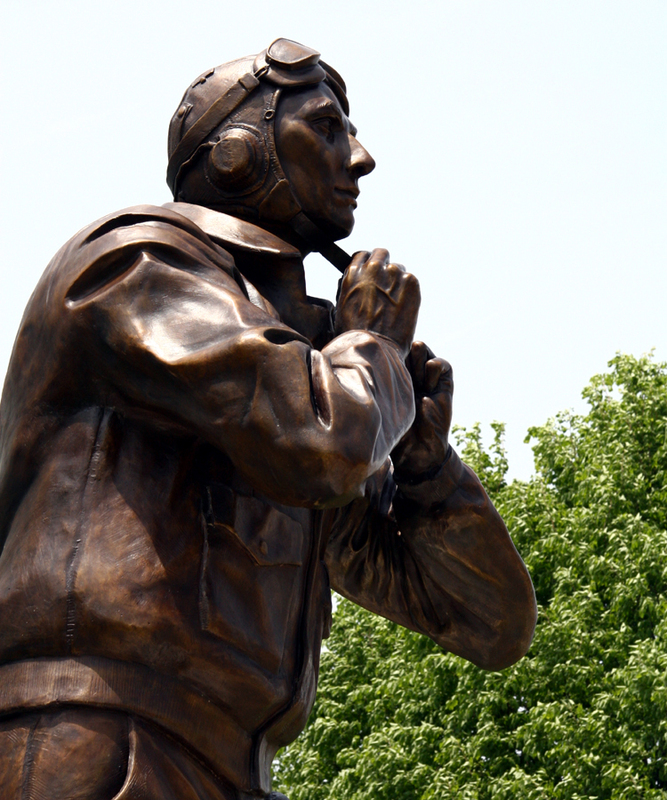 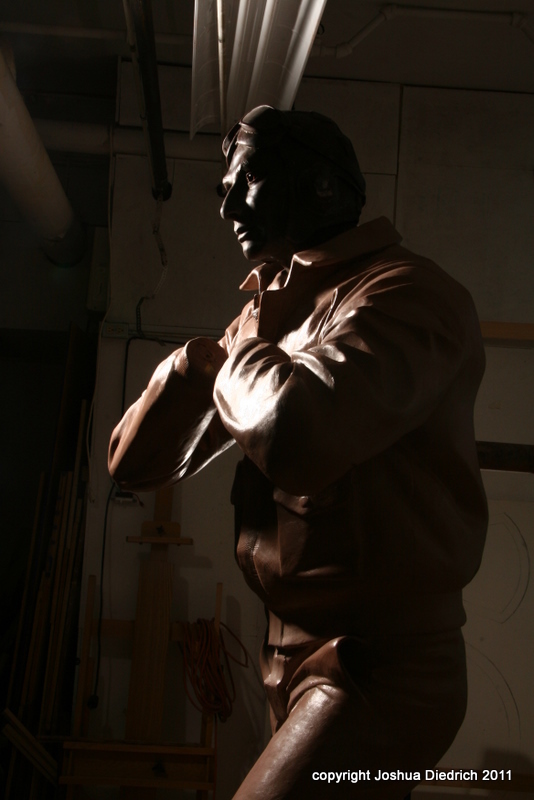 The Lazebnik Aviator is a bronze statue of a WWII era army air corpsman standing over 12 feet tall on its pedestal. 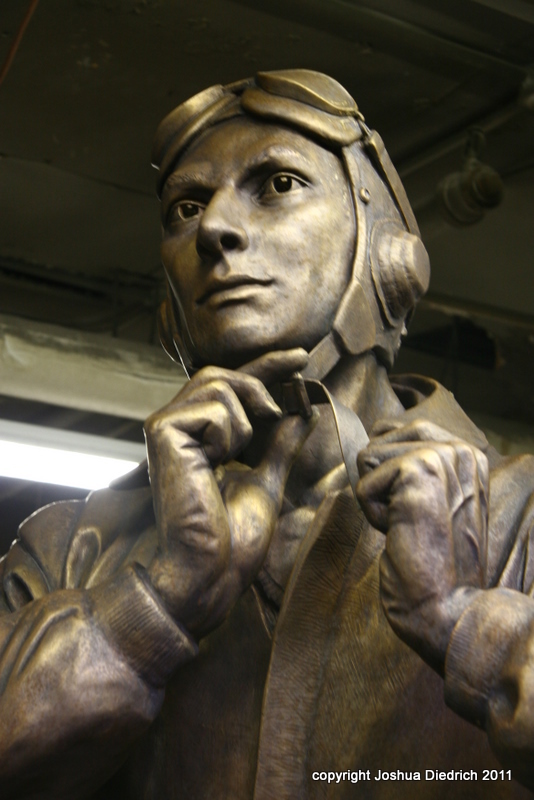 It was based on a small amateur sculpture made in shellaced plaster by Jack Lazebnik in 1943 before he went to Italy to join the air corps. 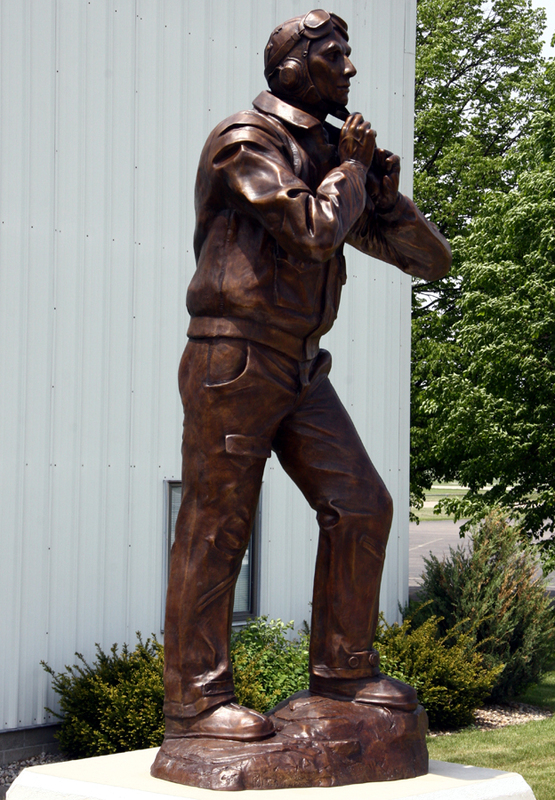 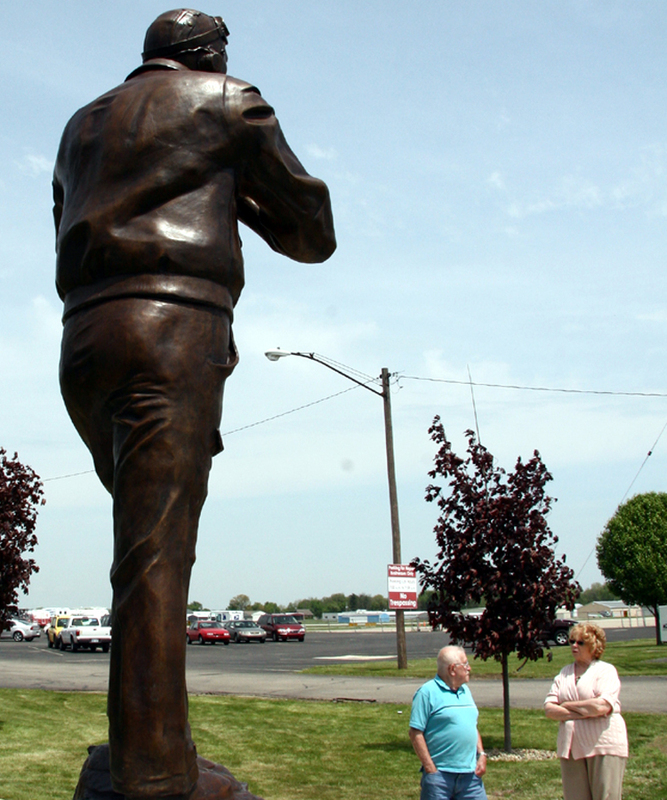 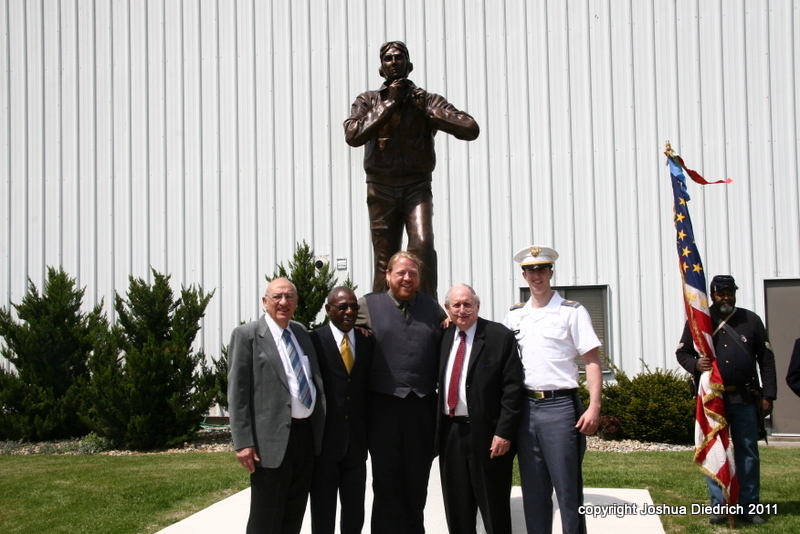 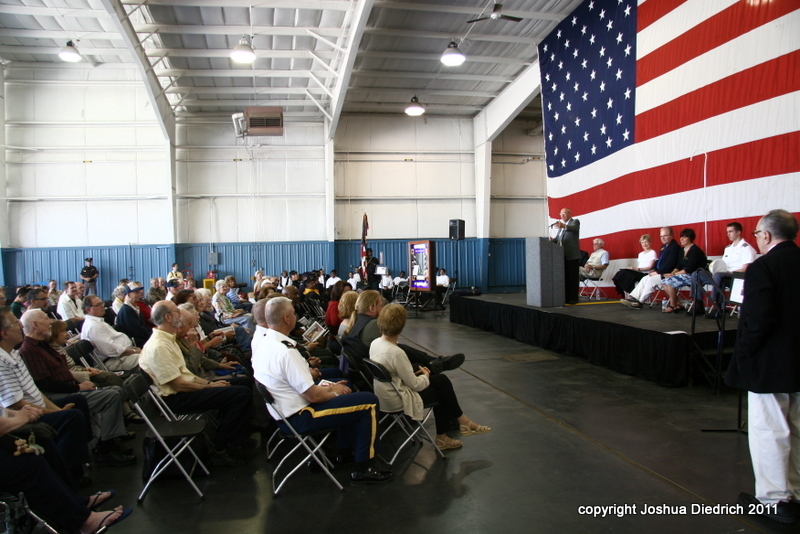 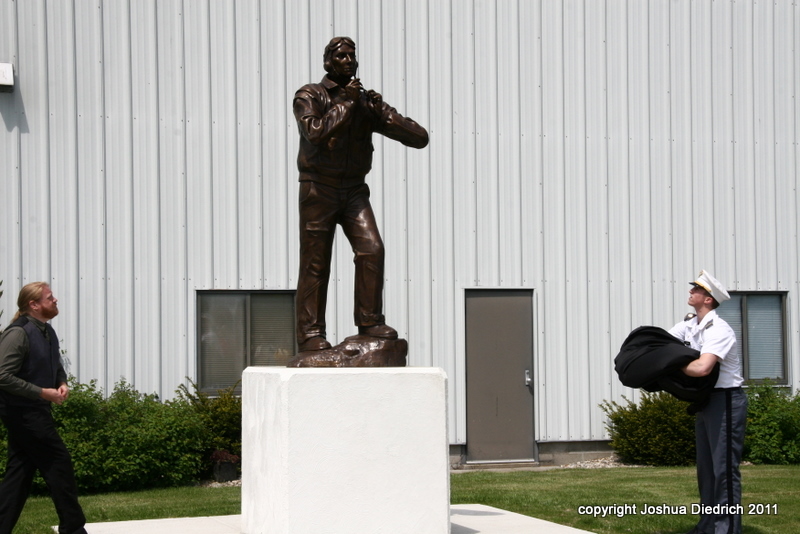 It was executed in water clay and cast in bronze during the winter of 2010-2011, and dedicated on memorial day 2011 at Reynold’s field in Jackson Michigan. 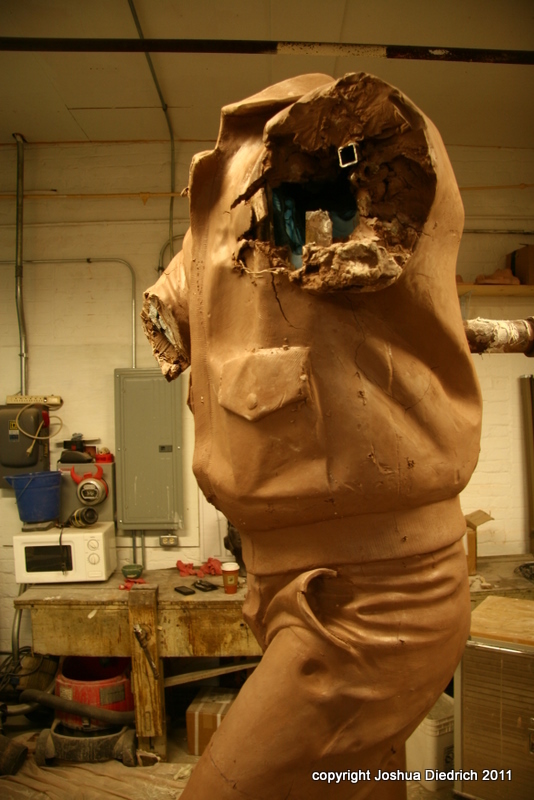 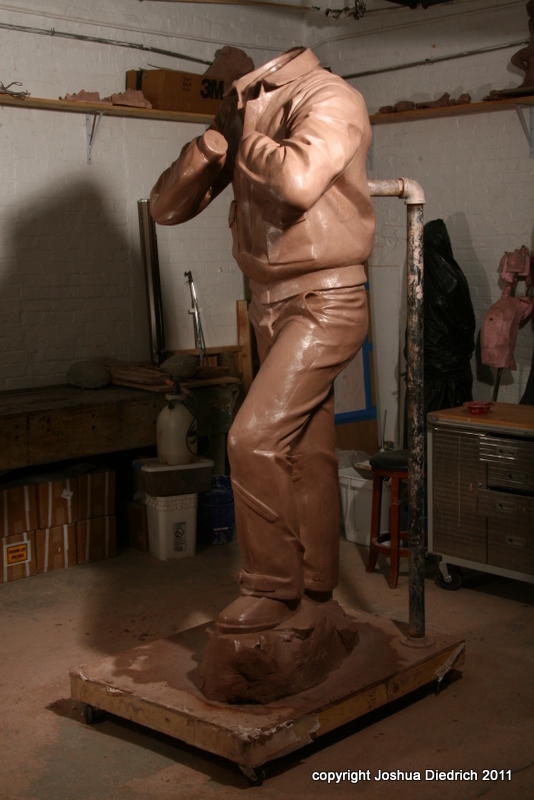 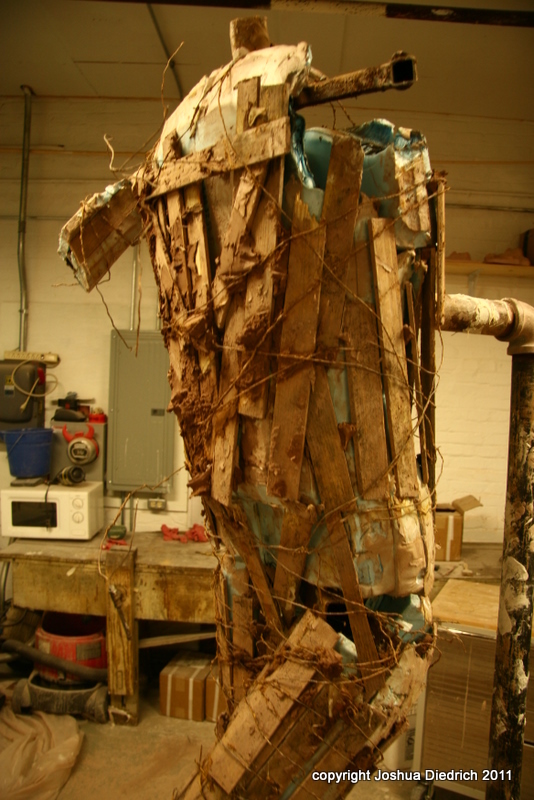 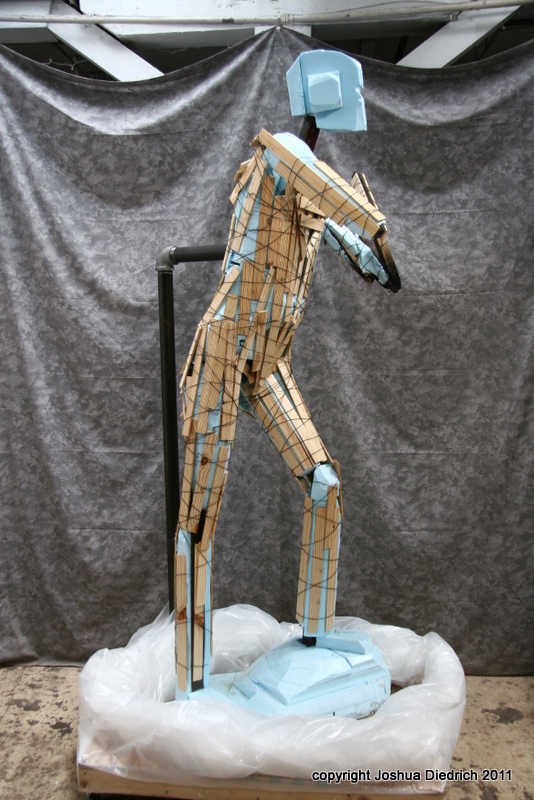 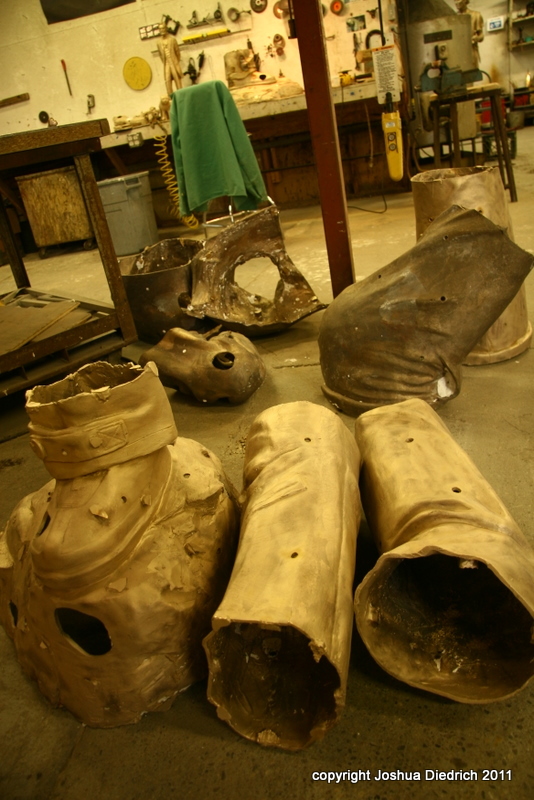 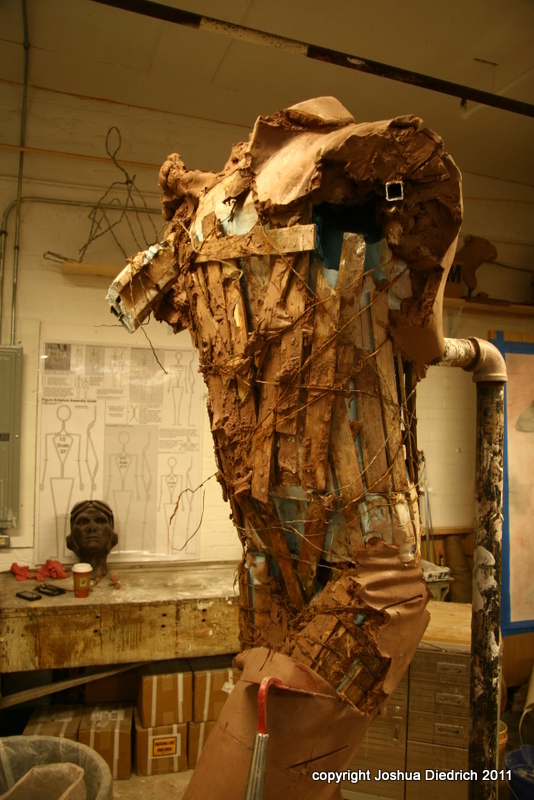 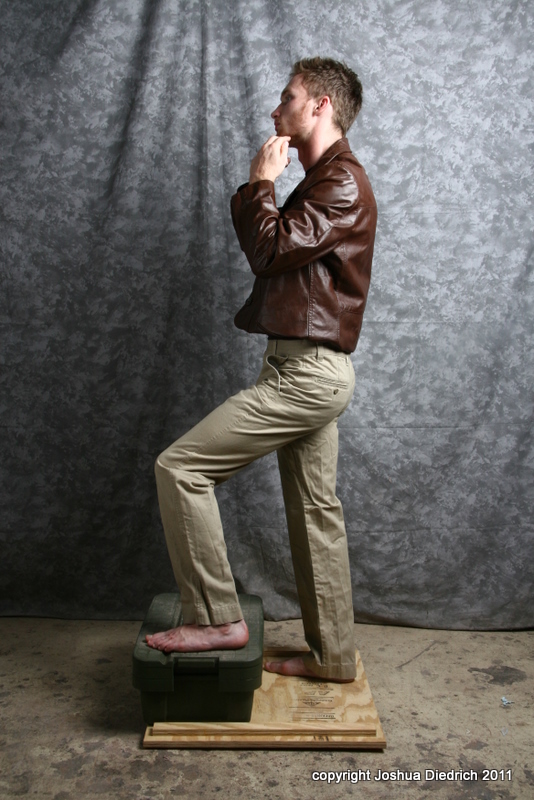 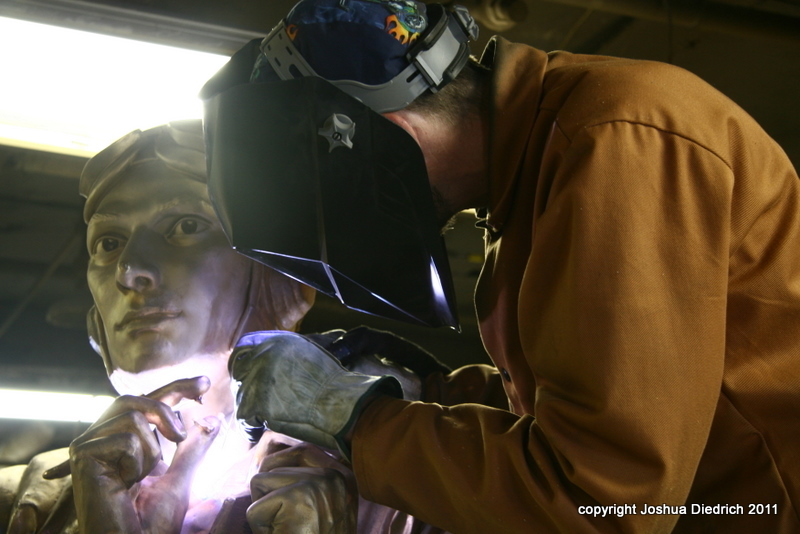 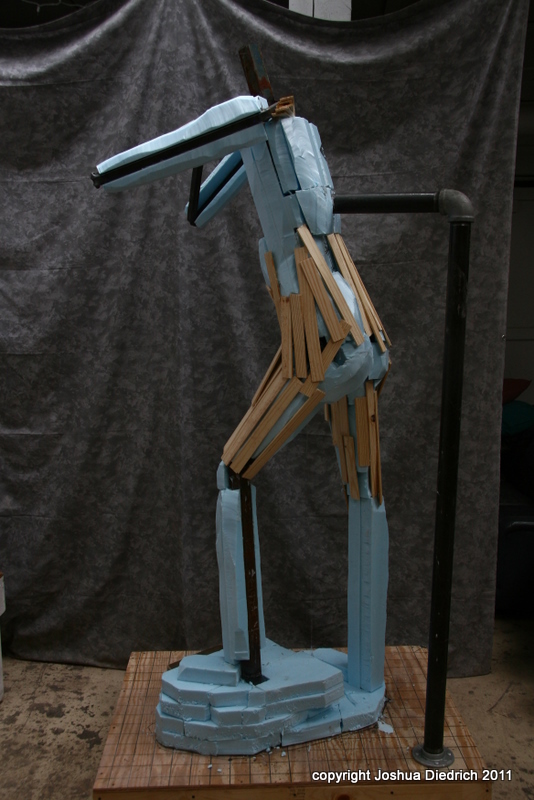 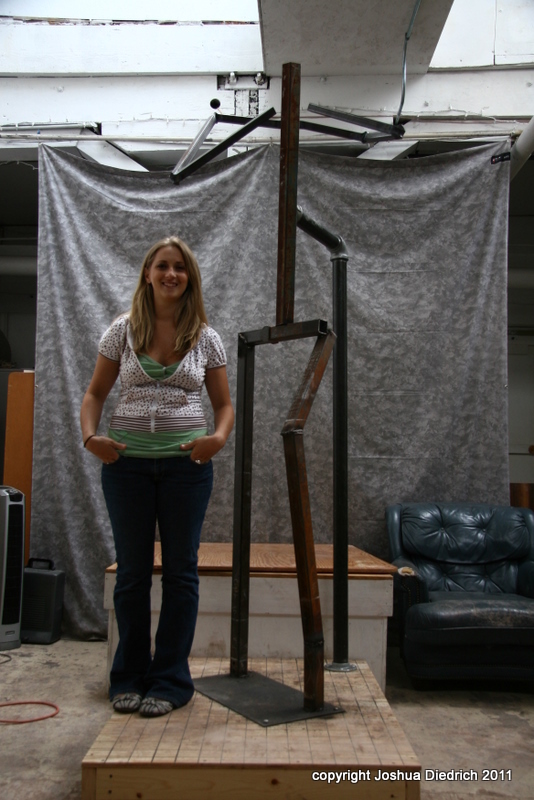 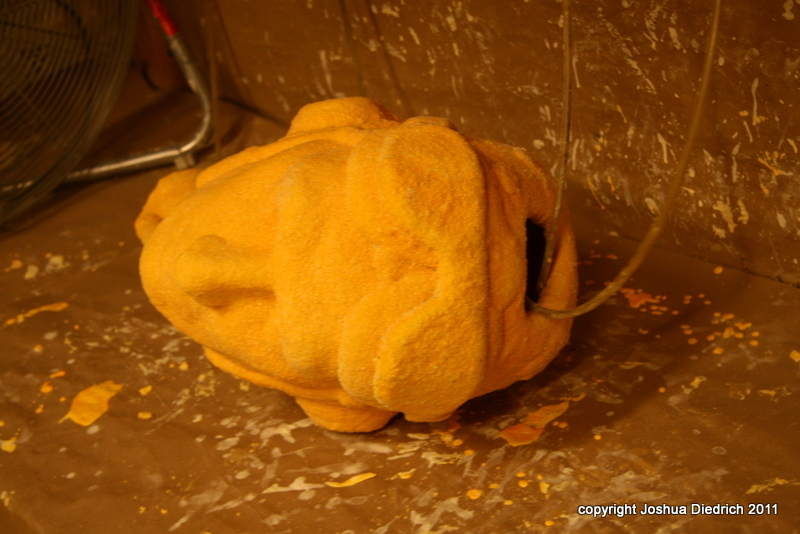 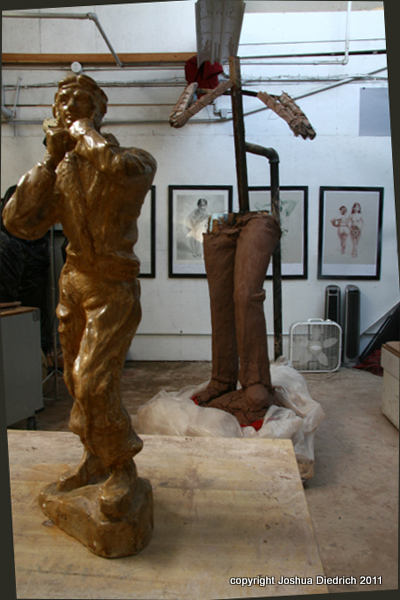 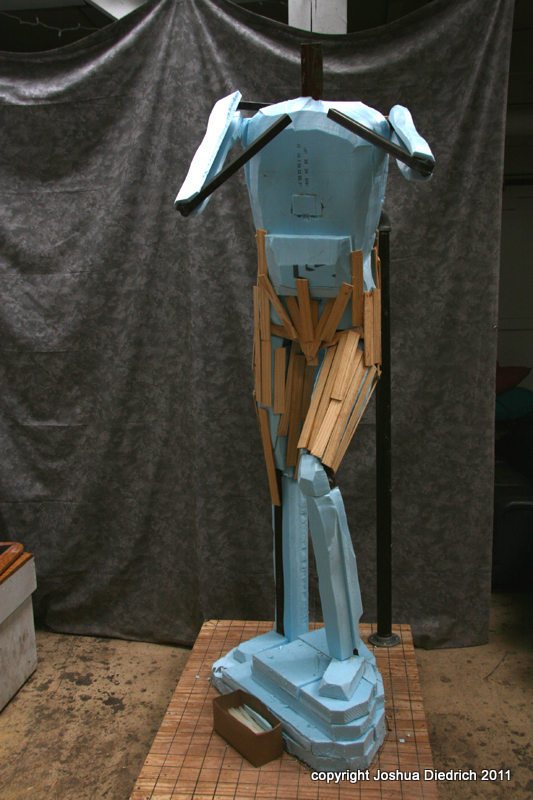 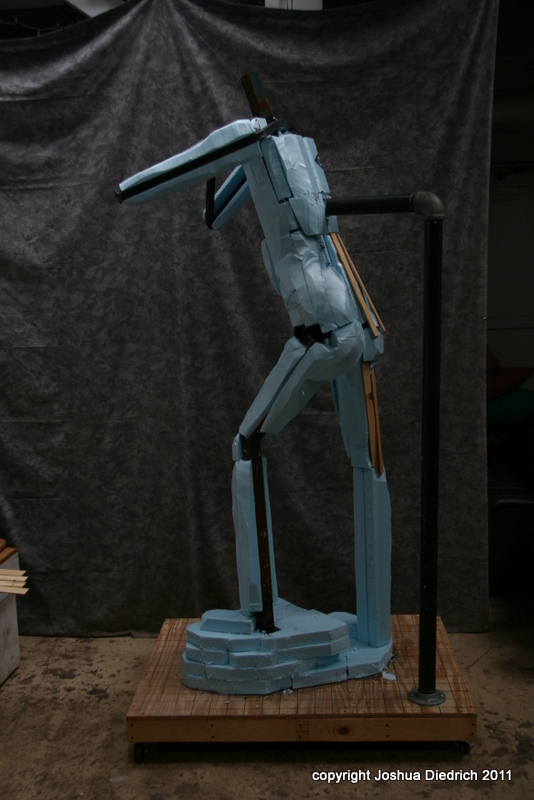 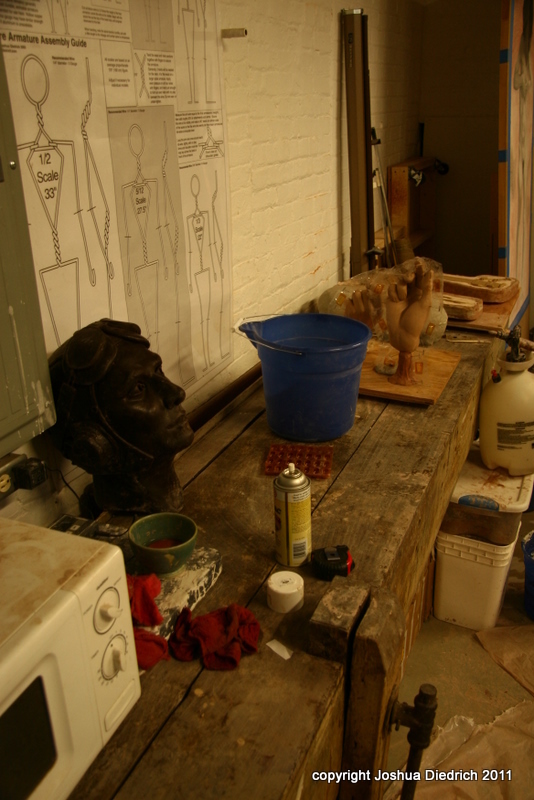 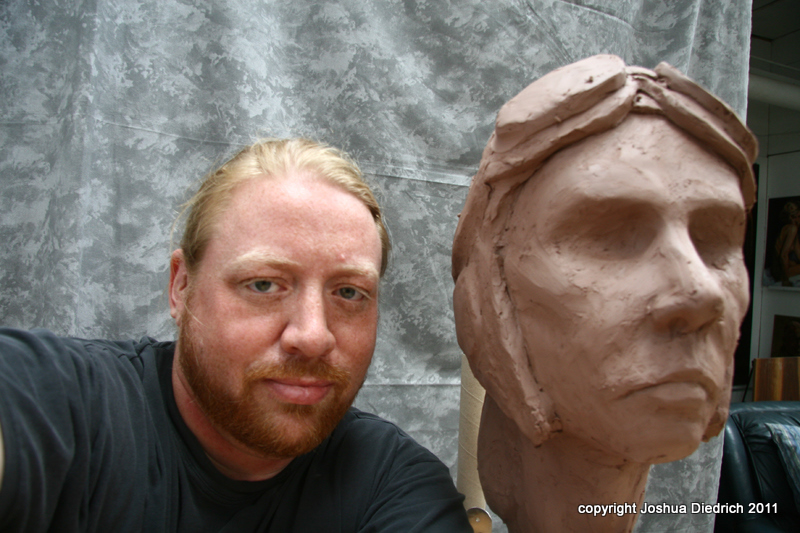 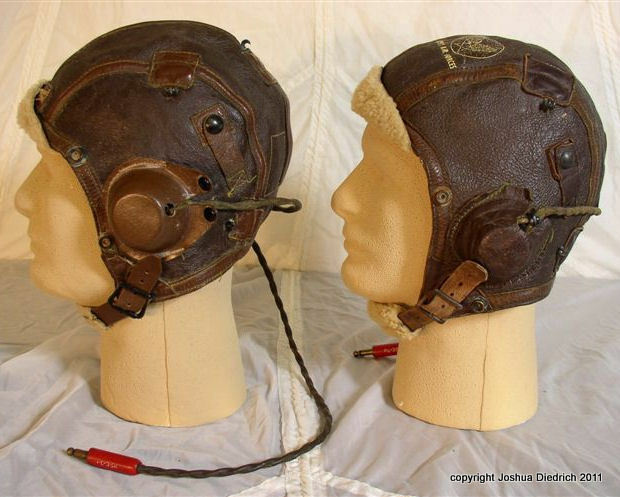 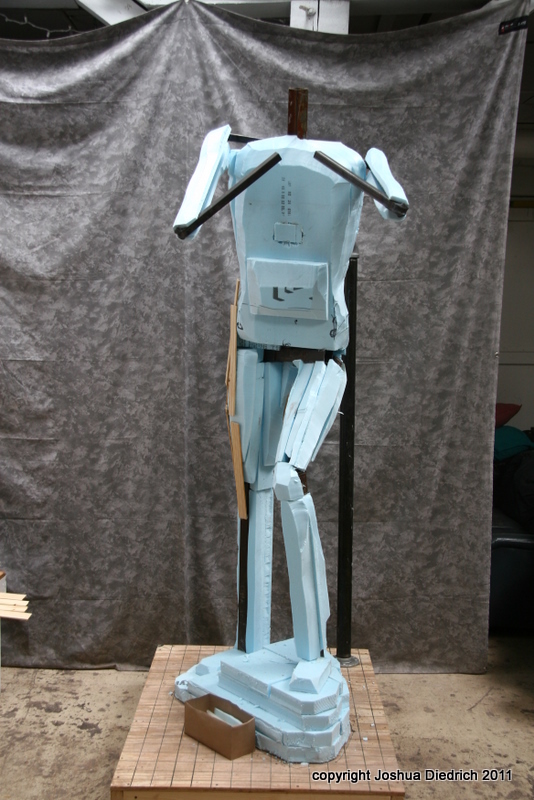 The Aviator is based on a small plaster of paris sculpture made in 1943 by Jack Lazebnik.